Aside from the many activities in Hanoi you can enjoy all year round, there are also some annual events great for immersing yourself in local culture. The most important festival in the Vietnamese calendar is Tet Nguyen Dan, often abbreviated to Tet. 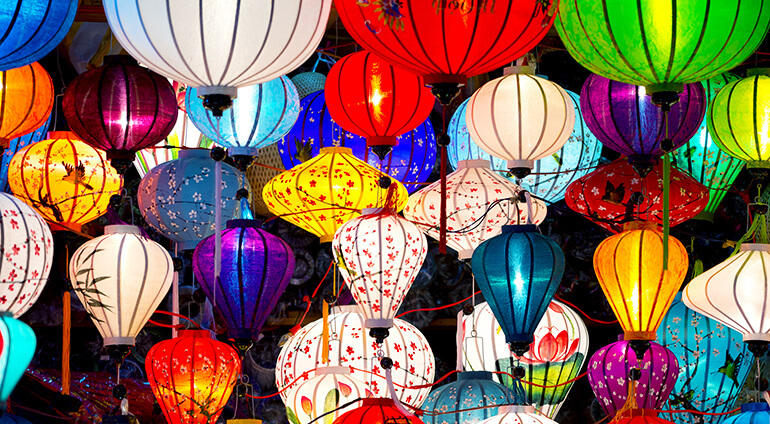 Vietnam’s Lunar New Year, the celebration lasts several days and can be considered a good, or bad, time to visit Hanoi, depending on what you’re hoping to do while you’re there. Many workers leave the city to visit relatives elsewhere in the country, making the capital less crowded and(,) as well as a celebratory atmosphere, there’s a colourful flower market and exhibition you can visit. However, many of the major sights, restaurants and shops are also closed for this period, which can prove a disappointment for tourists. Tet takes place in late January or February, on a different date each year. The mid-autumn festival of Trung Thu, also known as Children’s Day, is much smaller and can provide an interesting extra to any trip to Hanoi. Expect see dragon dances and children with colourful lanterns in the shape of stars, carp or dragons. Again, when this takes place is dictated by the lunar calendar, but it’s usually around September or October.